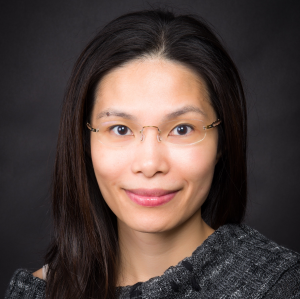 Germaine Wong is an academic transplant nephrologist at Westmead Hospital, in Sydney. She is also a NHMRC Career Development Fellow at the University of Sydney. Her main areas of interest are cancer epidemiology, diagnostic test evaluations, decision and simulation modelling, and other important aspects of outcomes research in nephrology and transplantation such as utility-based quality of life measures, transplantation outcomes in young adults, cancer and cardiovascular disease after transplantation; and areas in organ donation, wait-listing and organ allocation. She has expertise in diagnostic test evaluation methodologies, biostatistics, simulation modelling, and has examined topics including the cost-effectiveness of cancer screening and other pharmaceutical interventions in patients on dialysis and with kidney transplants. Through the support of the Jacquot Research Establishment and the Don and Lorraine Jacquot Fellowship, she has established, led and co-ordinated a number of large scale population-based observational studies that assessed the impact of social determinants and outcomes in people with chronic kidney disease and kidney transplants. Using big data, Germaine has provided novel based evidence on the health determinants and outcomes associated with chronic kidney disease. She has developed a team of research excellence that focuses largely on improving the health outcomes of transplantation, integrating transplant epidemiology with biostatistics, bioinformatics, health economics, health services and implementation research that aims to provide a comprehensive evidentiary base for preventive, monitoring and treatment strategies to reduce the burden of co-morbidities after transplantation.